Central High School of McMinn County: Highlights - Congratulations, Mr. Jeff Gilbert! Congratulations to Mr. Jeff Gilbert, Central's new principal. 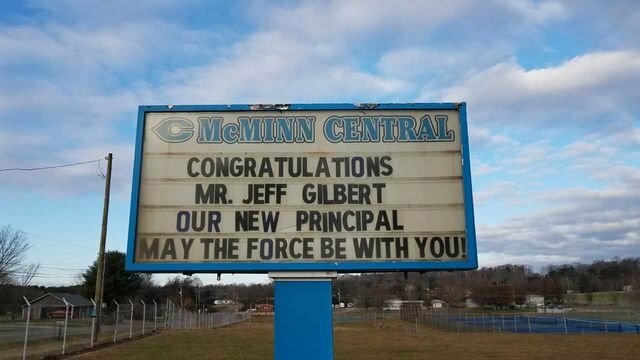 Principal Gilbert is well known for his love for his family, Central High School, and Star Wars. In fact, both of Principal Gilbert's daughters graduated from Central as valedictorians. The force is strong in the Gilbert family.